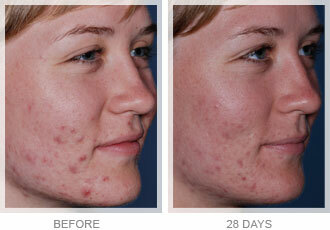 Acne is a common skin problem that can lead to long-term scarring when it is not correctly treated. Both acne and the scars it leaves behind can have a dramatic impact on your self-esteem, and although this unpleasant skin complaint is most associated with adolescence, it can also affect adults. 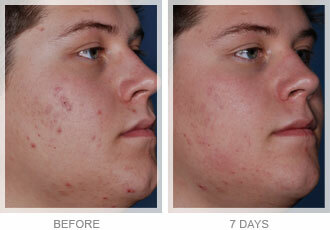 At Bodyvie, we have a range of treatments for acne that are designed to give you clearer skin. Acne is thought to be caused by an overactive sebaceous gland, which produces an excessive amount of oil that results in an oily complexion. This in turn means that dead skin cells can become sticky and lead to blocked pores, which results in the multiplying of the “P. Acnes” bacteria. This results in the pores becoming inflamed, leading to unsightly spots, pimples and cysts that can appear on the face, neck, chest, back, shoulders and upper arms. At the same time, these inflammations also damage collagen-producing cells, leading to thinner skin and sunken scars. Our medical-grade acne treatments are performed in-house by our expert aestheticians and doctors, who use treatment methods including microdermabrasion, chemical peels and laser treatments. Before your treatment can begin, you will need to come in for a pre-treatment consultation and test patch to ensure that your skin responds well. We will monitor your progress throughout your programme of treatments, and as part of your recovery plan, we will also form a tailor-made skincare routine to give your treatment the best chance of success at every stage. Each treatment may vary from one person to another. Start your journey to a spot-free face today by arranging a consultation. No, our acne treatment procedures are comfortable and quick. What’s more, they are completely free from side-effects and there is no downtime. Our acne treatments typically take place over eight easy sessions performed every other week, though the number of sessions needed depends on the severity of your acne.